Historical contexts, major works, artists, events, trends and dance evolution. 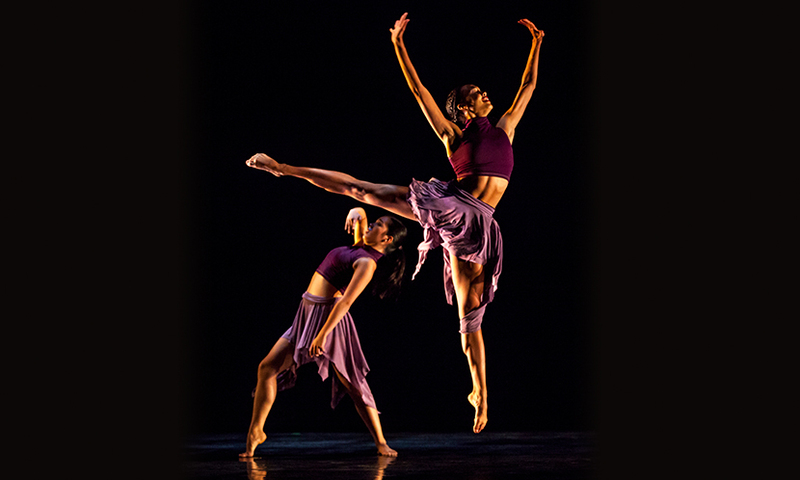 UCI undergraduate dance majors take three quarters of dance history, covering many kinds of dance, with two of them giving special emphasis to the concert forms of ballet, modern, and contemporary dance. Students are encouraged to understand not only the evolution of dance as an art form, but the place of dance in world events, in personal and communal identities, and in terms of personal and political empowerment. The courses prepare dancers to enter the world of dance scholarship, to become knowledgeable critics, teachers, performers, choreographers, artistic directors, dance patrons and audience members. The first course, Dance 90A, "Global Perspectives," includes discussions of issues such as ethnicity and identity; nationalism and state-supported dance companies; as well as focusing on specific forms from all over the world. Recent examples have been Indian classical and Native American dance, hula, African and Africanist influences, and dance from Spain, Korea, Latin America, the Middle East, and China. In Dance 90B, the eras that preceded the development of ballet and the conditions that led to early modern dance are highlighted, along with topics such as the anti-dance movement in North America, social dance evolution, and the physical culture and clothing reform movements that preceded twentieth-century feminism. The Romantic era in France and the imperial age of ballet in Russia are also covered prominently in 90B. Dance 90C allows students to explore dance in the twentieth century, up to the present day. Research papers, interview projects, library special collections perusal of artifacts, and choreographic exercises may all play a part in dance history classes. The idea is to understand aspects of history that contributed in various ways to the current dance world the UCI major enters. Pictured: Jennifer Fisher, Associate Professor of Dance, teaches students.